Taxonomy is the art of classifying things. The human species loves that. By default, WordPress will allow you to use two types of taxonomies such as categories and tags (or tags ). In addition to these two taxonomies found in all WordPress installations, it is very common to find in its WordPress interface other taxonomies, they come from your plugins or themes, in what we call Custom Posts Types. This allows to add some features to WordPress (to make it very simple). If we had to take an example, we could talk about a WordPress theme that shows all your technical achievements. Once the WordPress theme in question is activated, you will certainly have new entries in your menu, one of which will certainly allow you to manage your portfolio. This is a Custom Posts Types or CPT. When you choose to classify your achievements by category, you will use a taxonomy system that is not native to WordPress. 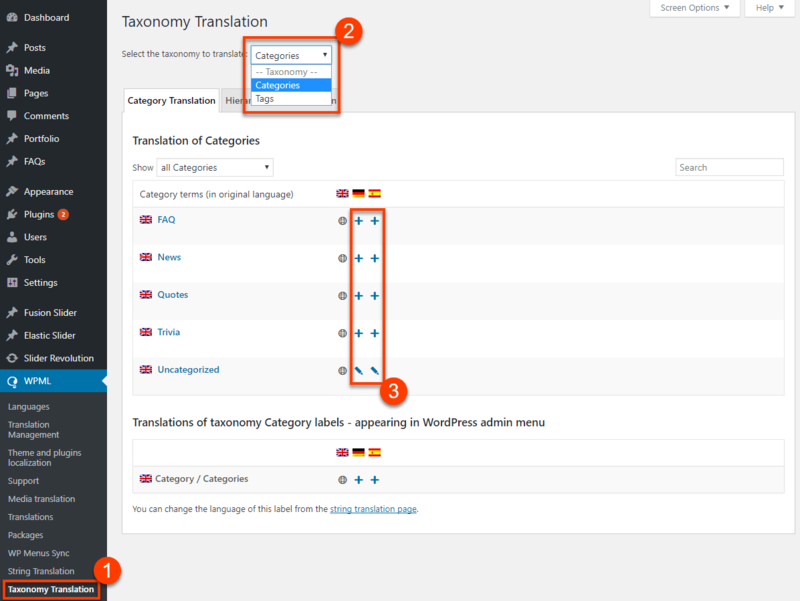 Follow the guide to learn how to translate all the taxonomies of your WordPress site. WordPress does not offer the default management of the multilingual through its administration interface, we are forced to look at what is done on the side of WordPress plugins. In fact, this is rather a good thing as is often the case with WordPress. The functional core remains light, and what you would need in addition to meet the specificities of your web project is supported by the plugins. We must believe that WordPress does not consider the multilingual as a basic feature. Which led us to have to choose which multilingual plugin for WordPress for years. We’ve chosen WPML, and we continue to use it on all our projects Multilingual WordPress. This entire guide to translating WordPress taxonomies is based on the use of WPML . Other WordPress translation plugins exist, do not hesitate to discover our comparative of multilingual WordPress plugins . Small detail that counts for more and more people, WPML supports perfectly WooCommerce multilingual version thanks to the home plugin WooCommerce Multilingual also called WCML. When using WPML, there are two ways to handle translations. Either we decide to let a professional translator do it, or we take care of it directly. If you go through a professional translation, then the translator will have access to a dedicated interface, thought by WPML. 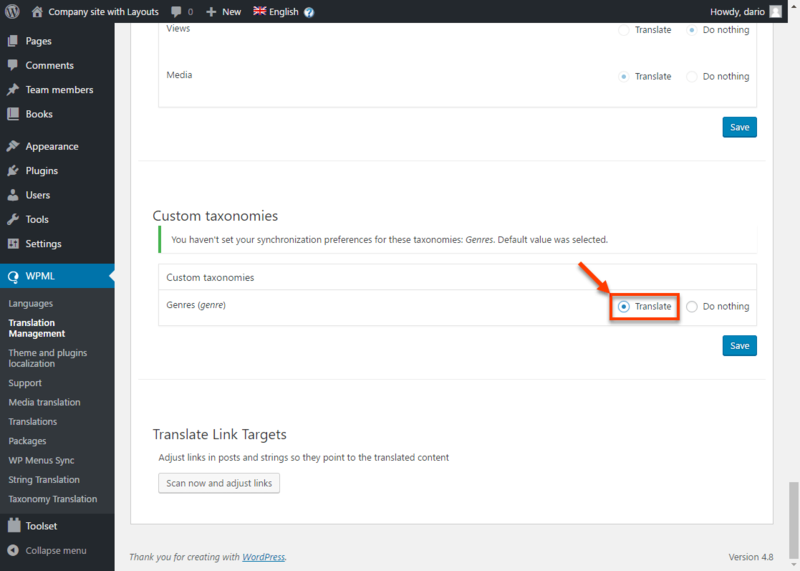 All categories and tags attached to the page to be translated is sent through the interface. Your translator will take care of it at the same time. If you manage it on your own, this is very simple. Just go to WPML – & gt; Taxonomy translation . With the help of the selector, choose WordPress categories or labels. Depending on what you choose, you will see either all the categories that your WordPress site manages, or all the labels; a choice. To add a translation? It’s easy, just click + next to the name. WPML is certainly a powerful plugin, but it does not yet come with an artificial intelligence dedicated to multilingual and translation. In other words, you will have to tell WPML that you want certain taxonomies to be translatable. No worries to have, the task is very simple. In order to make taxonomies from CPT translatable just go to WPML – & gt; Translation management and click Multilingual Content Setup. Use your mouse to go down the page to the Custom Taxonomies section and pass the taxonomy to translatable. Do you work with a translator? Then proceed to the complete referral of all the contents to be translated containing these CPTs. The work will be fast. Do you work alone? Appointment in WPML – & gt; Taxonomy Translation. 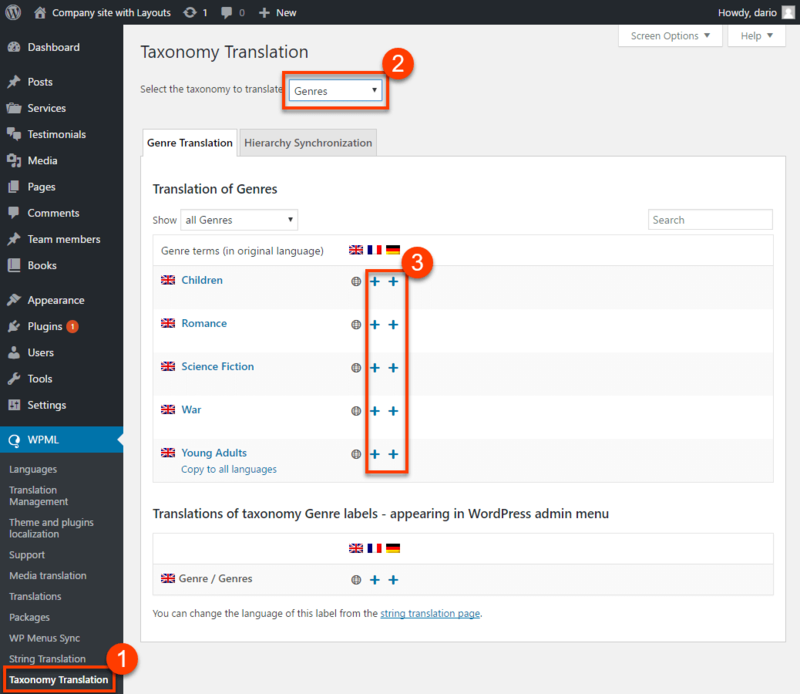 You now know how to translate WordPress taxonomies.